The 1989 Motor Vehicle Standards Act is said to prohibit important of road vehicles without proper import approval from the concerned department. It is rather regarded to be an offense and the offender is charged with 120 penalty units that is the maximum penalty. Hence, it becomes crucial to know the steps to be followed to import the vehicle and go through Car History report, so as to be on the safe side. Under which import option to apply? Can the vehicle enter Australia legally? The different costs involved like storage, shipping, permit application, delivery, taxes, cleaning for the purpose of quarantine, customs duties, quarantine inspection costs, asbestos testing / removal, insurance and registration requirements of the Territory or State, modification costs, etc. The time frame to derive the permit including other necessary arrangements. Is there the need to hire the services of a broker? Are modifications desired to meet the country’s set standards? Before shipping, the interior and exterior of the vehicle needs to be steam cleaned for eliminating materials which might pose quarantine risks. Register Quarantine Entry with Agriculture Dept. Prior to importing any car, including partly completed or disassembled road motor vehicle, contact Dept. of Infrastructure & Regional Development. Avoid making transport arrangement of vehicle to the country until issued with valid VIA (Vehicle Import Approval). Otherwise, it is an offense. Through Dept. of Infrastructure & Regional Development, apply for VIA. Import Declaration is an absolute must if the vehicle to Australia is transported. Until valid VIA is provided, vehicle is not likely to get cleared by the Customs department and customs duty, luxury car tax and GST are paid along with other applicable charges. Every vehicle that is to be imported into the country needs to be free from biosecurity contamination and clean, externally and internally, prior to reaching Australia. In case, vehicle gets shipped to Australia prior to receiving the VIA or arrives before processing of the VIA application, it will incur storage costs combined with other charges, until the vehicle gets clearance. If proper and valid VIA is not derived, then the vehicle is prone to get destroyed or exported at owner’s expense. Costs to have the vehicle meet insurance and Territory or State registration requirements. VIA (Vehicle Import Approval) is considered to be a document which is issued by the Dept. of Infrastructure & Regional Development to allow importation of the vehicle into Australia. It is necessary for getting proper clearance from the customs department. There are some import options to choose from, when applying for VIA under the Dept. of Infrastructure & Regional Development. The completed VIA application along with other essential supporting documentation is likely to get evaluated within twenty business days from receipt, by the Dept. of Infrastructure & Regional Development. Importation of road vehicles into the country is prohibited, unless in few specific circumstances. Large manufacturers investing substantially in R&D are allowed to import majority of the vehicles to ensure minimum safety standards is met by each and every new vehicle and maintain possible safe environment for both the community and road users. Manufacturers eager to import vehicles into the country are required to initially obtain identification plate approval. Used vehicles in limited range can be imported by approved organizations called RAWs (Registered Automotive Workshops) on behalf of their clients. SEV eligibility is regarded to be just the first of the process to get the vehicle imported into the country. But all vehicles that are RAW imported are to undergo necessary maintenance and modifications to ensure meeting minimum set environmental safety standards. The RAW is likely to charge their clients with the cost of importation and the work that follows it. In the meantime, you are to go for Car History Check to ensure that the vehicle that you plan to import and drive on the roads of Australia meets the required stringent standards set by the Australian government. Those eager to get imported cars that are unique, high on performance or are priced low, can avail grey imports. It is termed to be an effective way to get the desired car. These are considered to be models which are imported into Australia besides the regular import process. Most of the imported used vehicles are from Japan. This term is also applied to both used and new vehicles that are imported from other countries. It tends to apply to both commercial and private model imports. 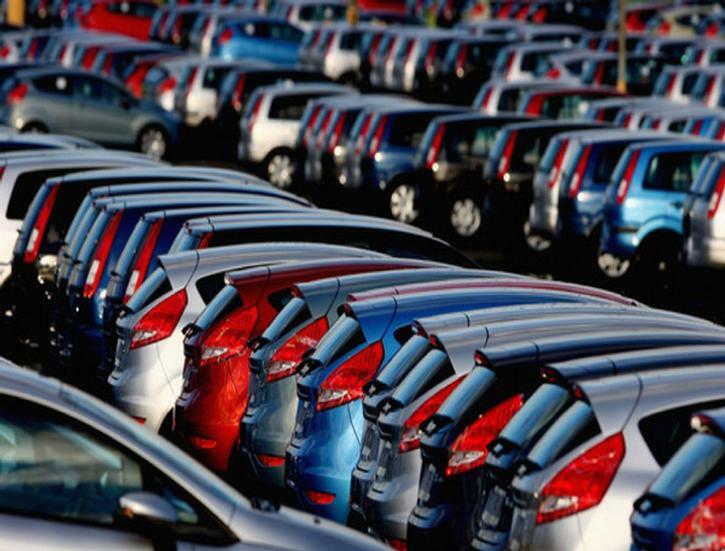 According to the country’s regulations, all commercial imported vehicles are to meet the stringent emissions and safety standards, require certification and modification before getting registered. Replacement part supplies are often noticed to be an issue with grey imports. Although they can be sourced by local dealers and specialist grey importers, there can be immense delay. Another problem faced is getting access to service related information, especially on those vehicles meant for non-English speaking market. Since parts supply and service information is derived with great difficulty, majority of the repairers are found to be reluctant. Vehicles not sold in new form in the country are not covered by few insurance providers. It is not supported by full volume, local vehicle distributors. No local support exists for service and recall campaigns. Hence, all issues that may arise is the responsibility of the owner. Therefore, prior to purchasing any great import vehicle, it will be wise to get hold of the necessary details from Revs Check offered by reputed companies, so as to know its history. Since investment is to be made, it should be a well researched one.